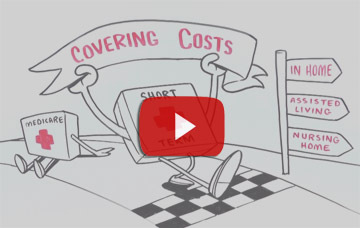 The first consumer guide to short-term care insurance planning was made available today. “This will very likely be the first time many seniors have heard of short-term care insurance,” explains Jesse Slome, director of the National Advisory Center for Short-Term Care Information. (NAC-STCI). “Short-term care insurance, sometimes referred to as Recovery Care protection, can fill gaps in a senior’s Medicare coverage and can be an affordable long-term care planning option when cost, age or health is an issue,” the founder of the organization notes. Slome authored “The Essential Guide To Short-Term Care Insurance Protection” which will be accessible on the organization’s website. Leading short-term care insurance companies support the national consumer awareness effort undertaken by NAC-STCi. The organization’s first informational advertisement appears in the July issue of Kiplinger’s Personal Finance magazine and promotes the availability of the new consumer guide. “The consumer guide provides an informative introduction to short term care insurance and how it can help individuals age 50 and older protect their financial future,” Slome notes. The National Advisory Center for Short-Term Care Information advocates for the importance of planning and supports insurance and financial professionals who market short-term care insurance products. To read the guide visit National Advisory Center for Short-Term Care Information website at www.shorttermcareinsurance.org.